When Gran moves into the cave with the Croods, she drives Grug nuts and embarasses Eep in front of the first-ever group of cool kids. Eep loves to compete, so she teams up with her new friend Lerk and plans to win a school hunting exam, no matter what she has to do. When Eep and Thunk play the worlds first dare game, Thunk must face his biggest fear. Grug starts a fight with the moon. After snobby neighbors move in next door and complain about a bone pile blocking their backyard view, the Croods start the first prank war ever. Everyone loves it when Thunk uses shadow puppets to make the worlds first movie ... until they see the end of the show. When Grug and Ugga go out on a date and leave the kids home alone, Eep throws the first-ever house party, which gets out of control. Eep has her first slumber party in a cave and her worrying family inadvertently make it a frightening night. 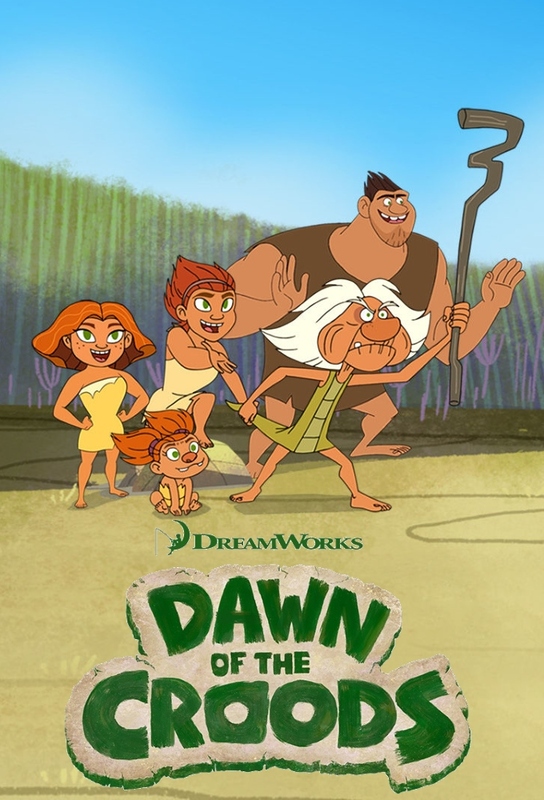 Because of Thunks dislike for a certain meal, he leads a pack of Bearowls to the Croods cave and when the Boors cave is overtaken by an Albatrocerous, the 2 rival clans are forced to share a cave while Eep and Thunk try to reverse the situation. Grug takes Ugga out to practice her hunting skills, but there are some kinds of animals that she just cant seem to catch. When Eep becomes a veg-a-eat-ian, the family hunts for the biggest veggies they can find -- until something makes them go back to eating meat. Grugs proposal to take the worlds first nap takes a scary twist on his neighbors. A sugar rush overtakes the Croods when the get a craving for honey from a beehive. Grug wont let Eep join his winning team, so she forms her own group to play in historys first sports event. After getting a giant head from a Spiderant bite, everybody is convinced that Grug is now completely intelligent and he uses this to outstrip Snoots role as Ahhh! Valleys Problem Solver. After making a spectacle of himself, Thunk is forced to change his ways. When two things go missing in the middle of the night, Eep hunts for clues to solve the first mystery ever.